Yes, I have a new toy. It’s probably a terrible idea, but I have a little drone that takes photos. It’s a DJI Spark. For a full review of the drone see the excellent DCRainmaker site. 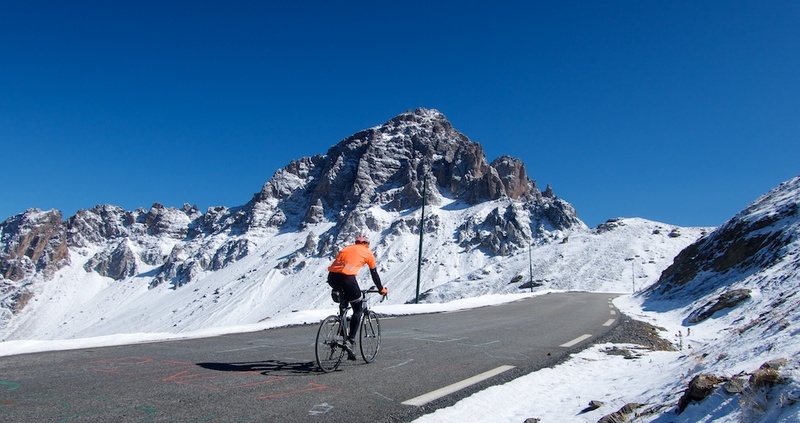 I have the good fortune to ride Col du Galibier once a year or so. These days, I try and wait for special conditions , eg. early season snow walls. Or late season with sun like today is also great: quiet, some snow on higher peaks (plus I had a new toy!). 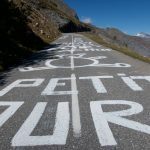 Here are a few older Galibier posts that might be of interest: Galibier: A Complete Look, Galibier: A Brief History, Galibier to See the Sunrise, Galibier via Col d’Albanne/unpaved cliff road. 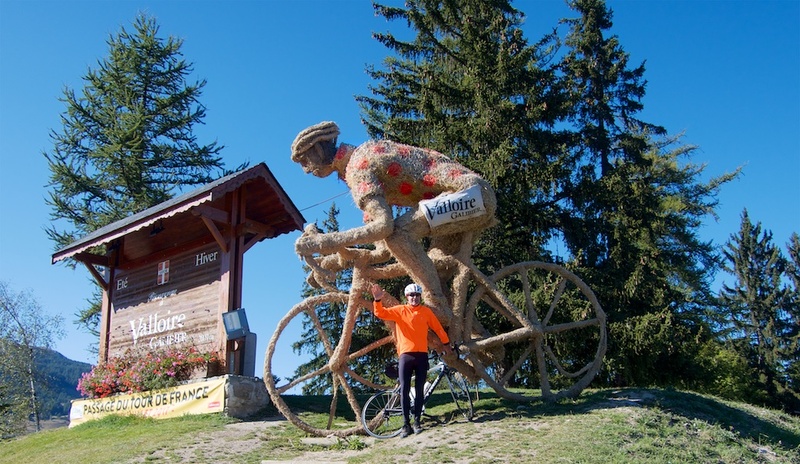 I didn’t take many photos until I was above Plan Lachat (the last 8 kms), but the Polka Dot Hay Man at Col du Télégraphe is terrific. 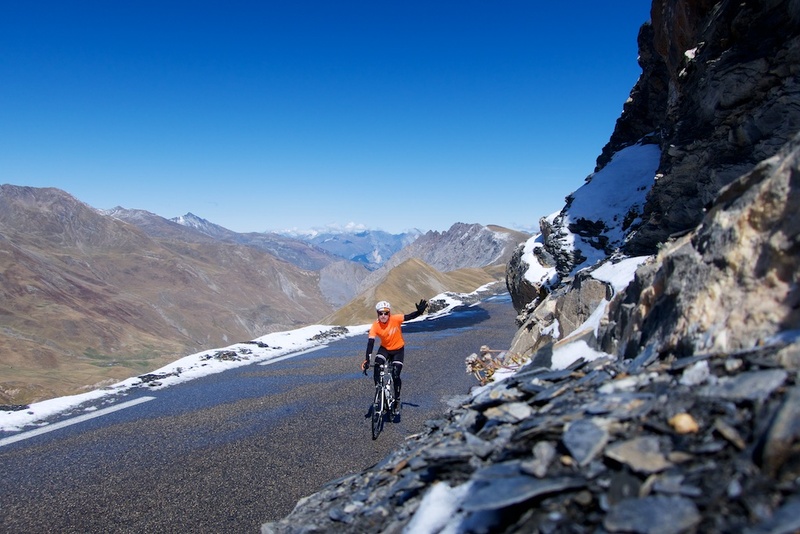 Above Plan Lachat (roughly 2000 metres altitude) is where Galibier gets fun. 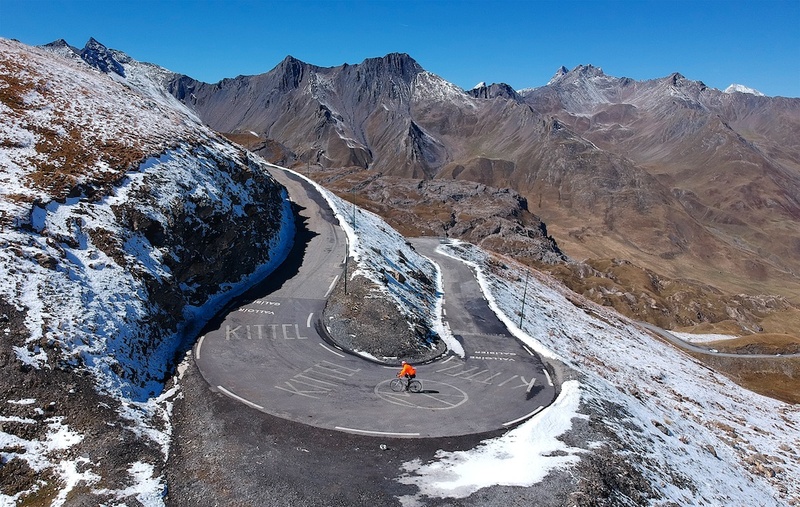 Hairpins, views, big mountains – fantastic. I always like the view at the 6-kilometre-to-go marker. 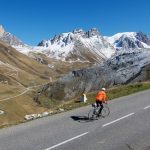 In the distance is the unpaved military road up to Col des Rochilles (see here for ride details). 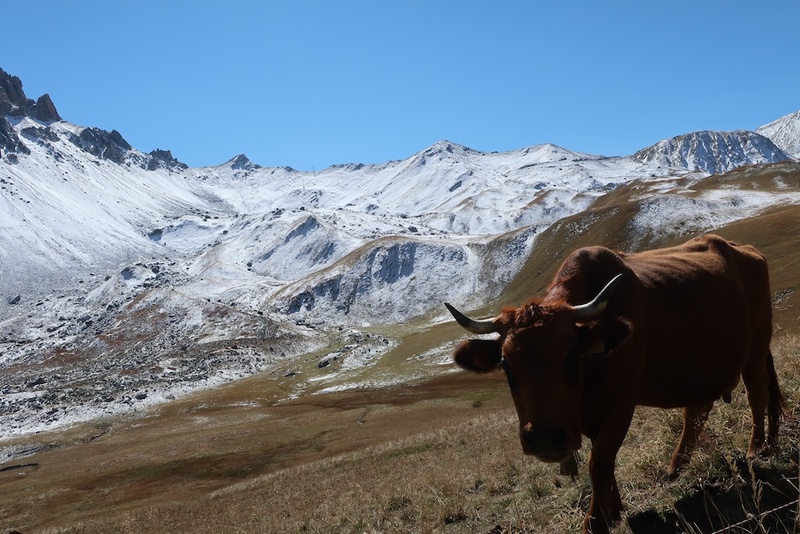 The weather has been rough recently up high, and there was a fresh frosting of snow on all the neighbouring peaks. 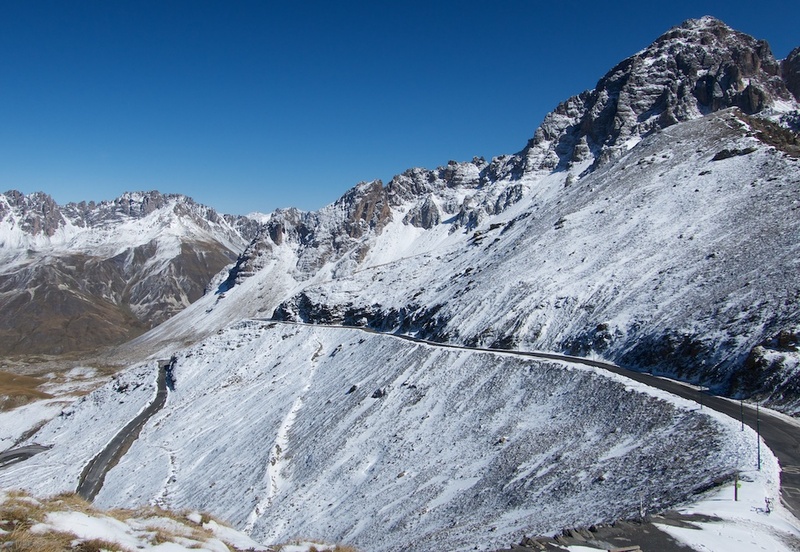 And snow along the road above 2450 metres or so. Above the tunnel, the road was clear, but likely slippery in spots earlier in the day. 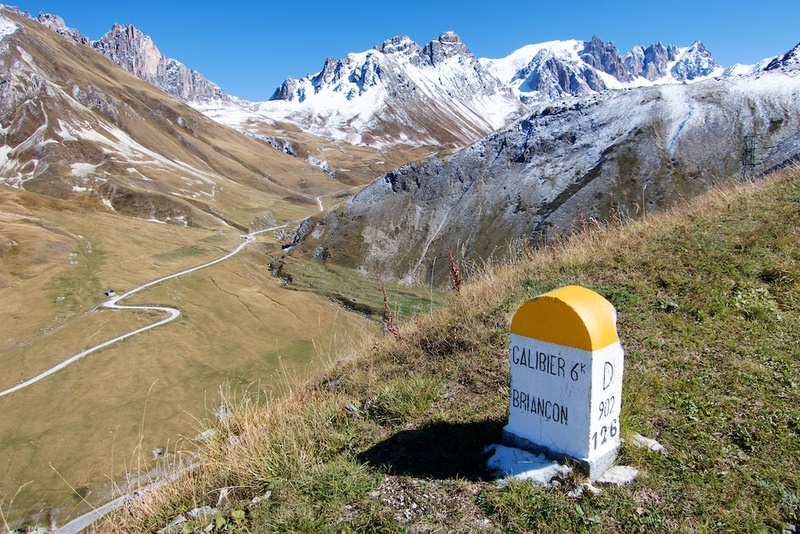 The summit is a department border: Savoie on left. 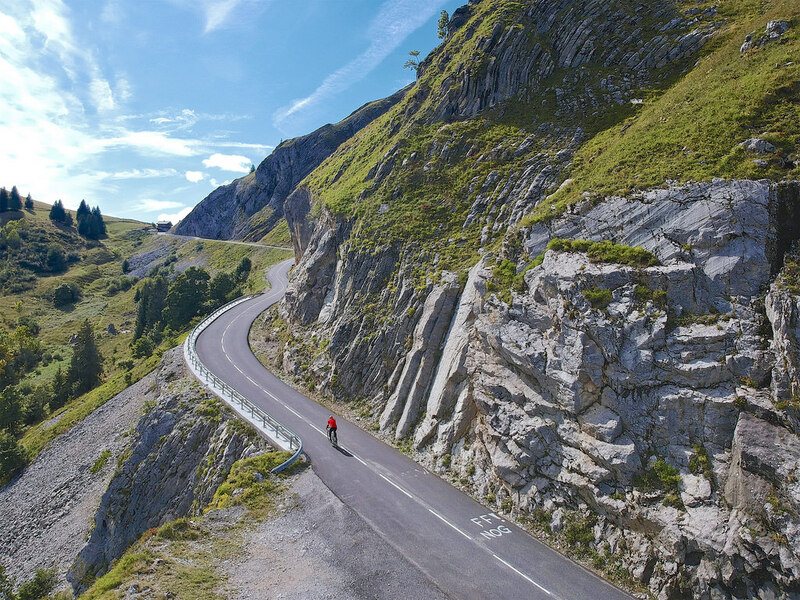 Hautes-Alpes right. 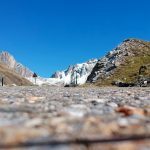 I considered descending the 8 kms on the far side to Col du Lautaret (beautiful), but I was cold, tired, and busy fooling around with photos. But I highly recommend the descent. The north side is better than the south side option. 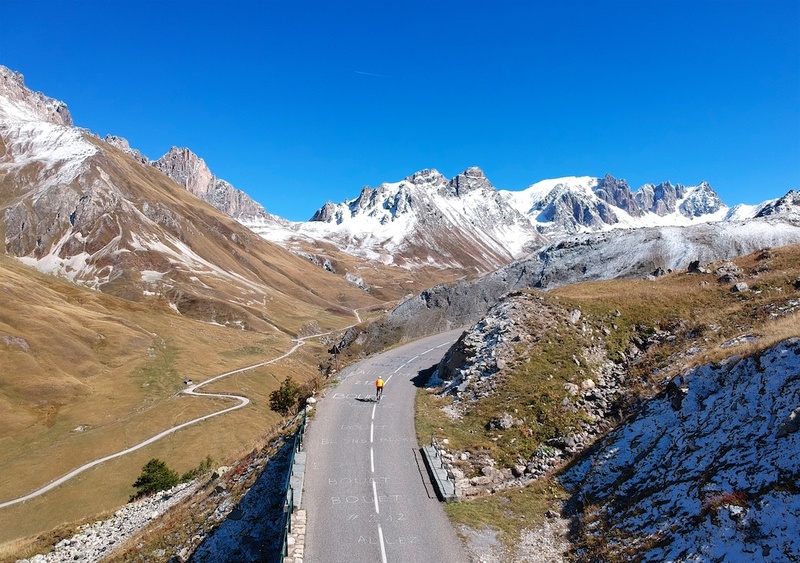 BUT, the south side shines above Col du Lautaret. 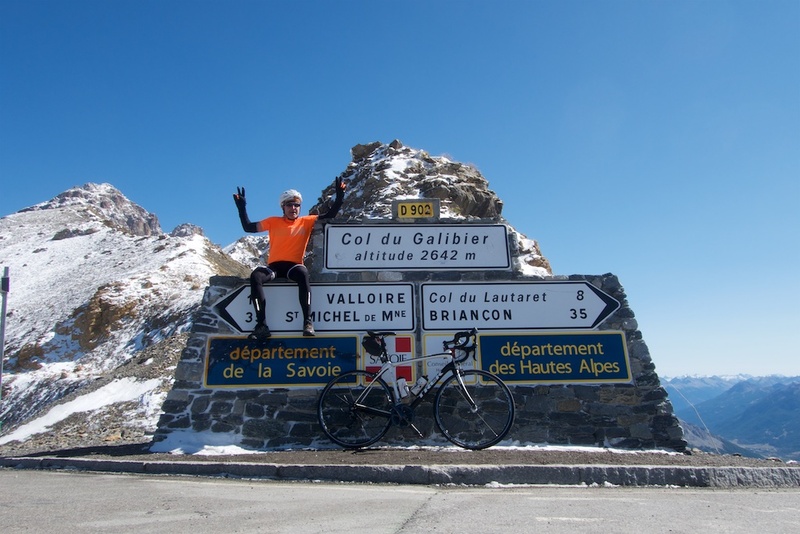 Galibier is always a fun challenge. 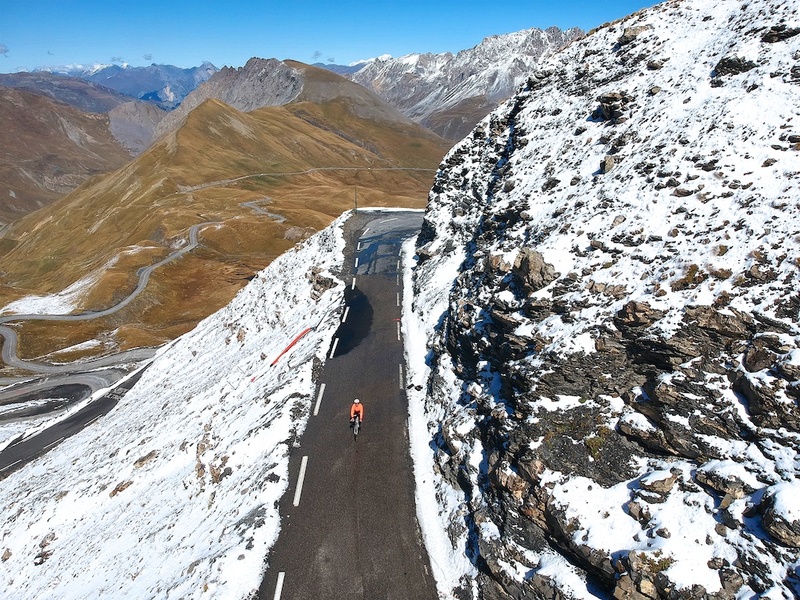 And a late season (quiet) ascent is always worth the effort. 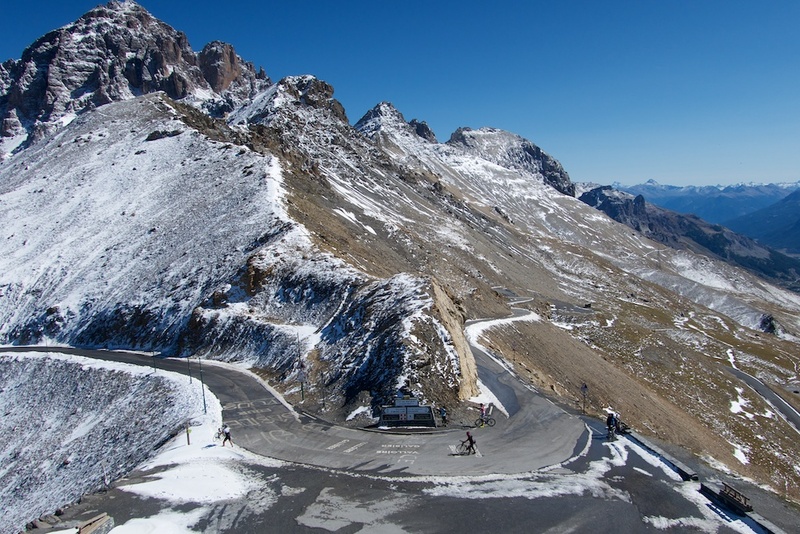 PS – here’s a photo from Col de la Colombière from few days ago. A ride I didn’t blog. 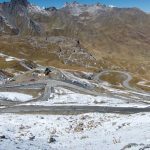 Previous ArticlePasso della Mulattiera and Col des Acles. Great photo’s. Did you always carry all that stuff or is there someone with you on those ride? Wow! Now that is literally taking your photos to a new level! This new perspective is a great addition to your already great pics. The big benefit will be all the energy you’ll save by not having to run up and down hillsides setting up and taking down your camera gear! Perhaps you could also send the drone ahead to make sure that a cold brew was waiting for you at the summit! 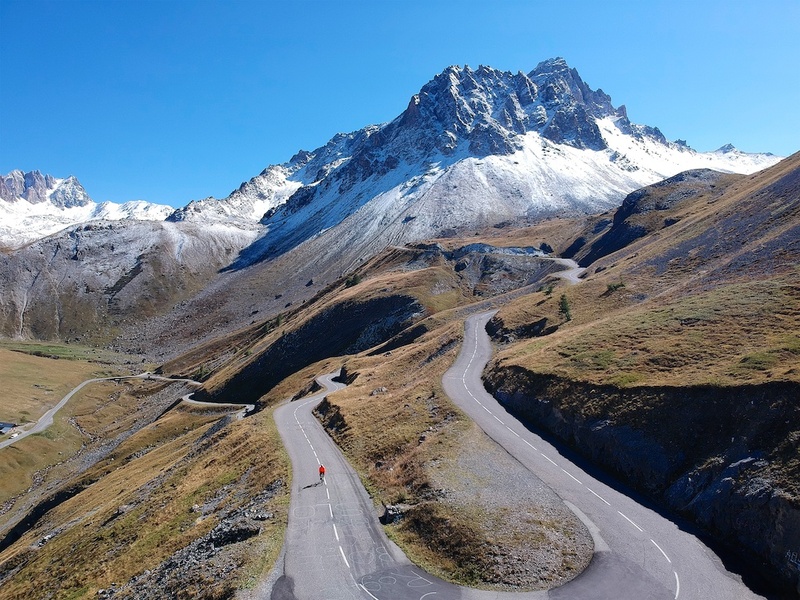 Thanks Will, another great post (going up another notch or two with the pics from the drone). Keep it up, it’s very much appreciated! Boys with Toys 😉 Love it. Like Martin says, when they invent a drone that flies ahead and orders a macchiato and perhaps the world’s largest blueberry pie, then I’ll get one.